Former Vice President Joe Biden acknowledged Wednesday that his tendency toward physical displays of affection and encouragement has made some women uncomfortable, and he promised to be "much more mindful" of respecting personal space. "Social norms have begun to change. They've shifted," the 76-year-old Biden said in a cellphone video posted to Twitter. "And the boundaries of protecting personal space have been reset. And I get it. I get it. I hear what they are saying. I understand." Wearing a suit and open-collared shirt, Biden also teased an announcement of his political plans, promising to "be talking to you about a whole lot of issues." 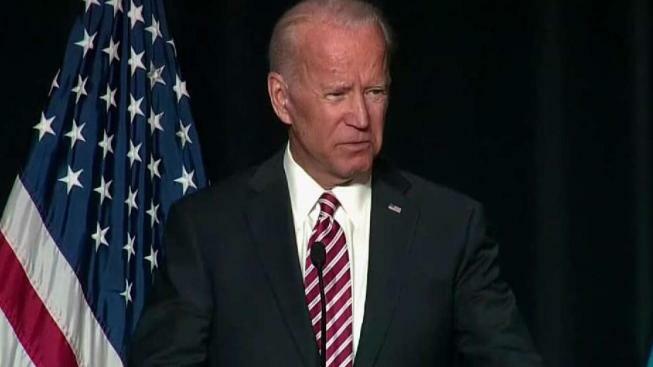 Shortly after the video was released, a union announced Biden would speak at their conference in Washington on Friday. 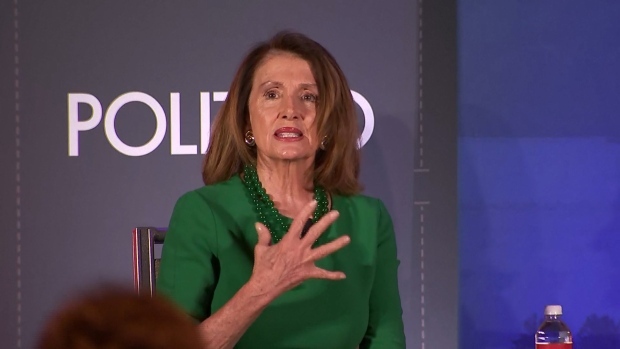 The video was Biden's first direct comment on what has tripped up his preparations to enter the 2020 Democratic presidential campaign. He did not directly apologize but seemed to be seeking to ease some people's discomfort, which has raised questions about whether he could wage an effective campaign. On Friday, former Nevada politician Lucy Flores wrote in New York Magazine that Biden approached her from behind, touched her shoulders and kissed the back of her head in 2014. Since then, another woman has said Biden grabbed her face when he was thanking congressional staff at a 2009 event. On Wednesday, The Washington Post reported that three additional women had recounted uncomfortable encounters with Biden. One of them, Vail Kohnert-Yount, said she was a White House intern in the spring of 2013 when she met Biden in the West Wing and, as they chatted, he put his hand on the back of her head and pressed his forehead to hers and called her a "pretty girl." NBC News has not verified the report. Biden, a former longtime U.S. senator from Delaware, first said in a statement that he did not recall the episode that Flores initially described in the magazine piece and then in subsequent weekend interviews. In the video Wednesday, Biden insisted that what he described as the compassion from where the affection comes will not change and again nodded to the steps he's taking toward running. "But I'll always believe governing — life, for that matter — is about connecting, connecting with people," he said. "That won't change." Biden also said that he would be more careful about his actions in the future. "And I'll be much more mindful. That's my responsibility, my responsibility, and I'll meet it," Biden said. And in so doing, Biden was tacitly acknowledging a nagging concern for some voters: that he cannot adapt. "The idea that I can't adjust to the fact that personal space is important, more important than it's ever been, is just not thinkable," he said in closing. "I will. I will." President Donald Trump, who has been accused by multiple women of sexual misconduct (which he denies), was asked Wednesday whether Biden should apologize for the ways he has interacted with women. The president replied, "No, he's going to make his own decisions. He's very capable of making a decision, I assume." A day earlier, Trump taunted Biden at a National Republican Congressional Committee fundraiser, saying, "Our former vice president, I was going to call him. I don't know him well. I was gonna say, 'Welcome to the world, Joe. You having a good time, Joe?'"